Funds on this card do not expire and cannot be redeemed for cash, except where required by law. 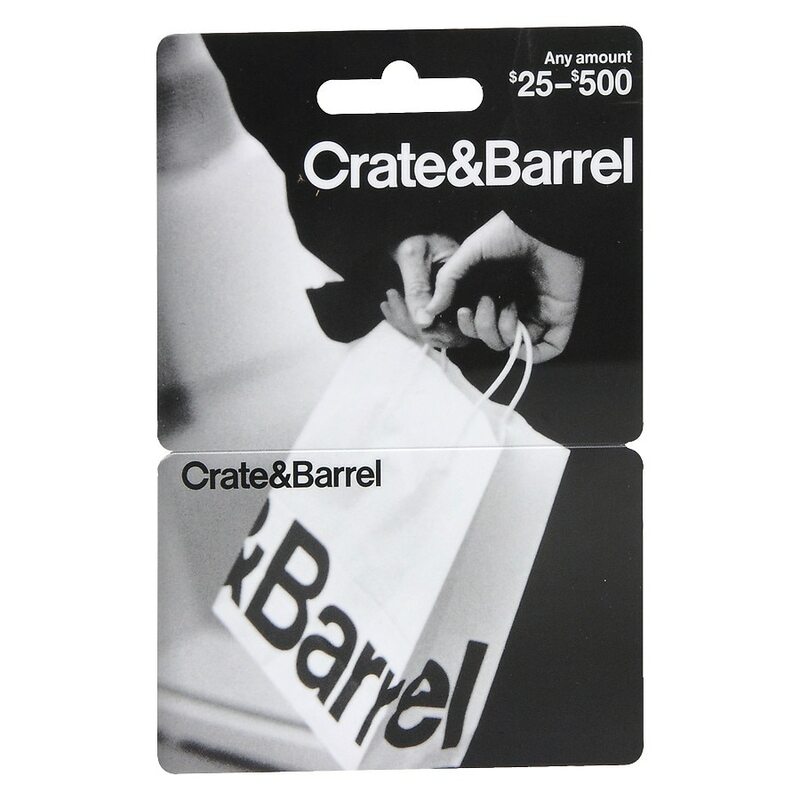 This Crate and Barrel Gift Card is redeemable for merchandise or services only at Crate and Barrel stores and outlets (U.S. only), catalog and crateandbarrel.com. It also can be redeemed for in-store (U.S. only), catalog and online purchases at CB2 and The Land of Nod. Please register your card now at crateandbarrel.com. For your security, only registered cards will be replaced if they are lost, stolen or destroyed. To replace a registered card, call 800.606.6458. We will freeze the remaining balance at that time and mail a replacement. To check your balance, visit crateandbarrel.com or call 877.477.4567. For customer service, call 800.606.6458.. © 2014 InComm U.S. This card may not be used as payment on a Crate and Barrel Credit Card account. .